the "florkens": The Littlest "Florken"
If you follow us on Instagram, you know that on October 14, 2015, we finally welcomed the Littlest "Florken" into our home. 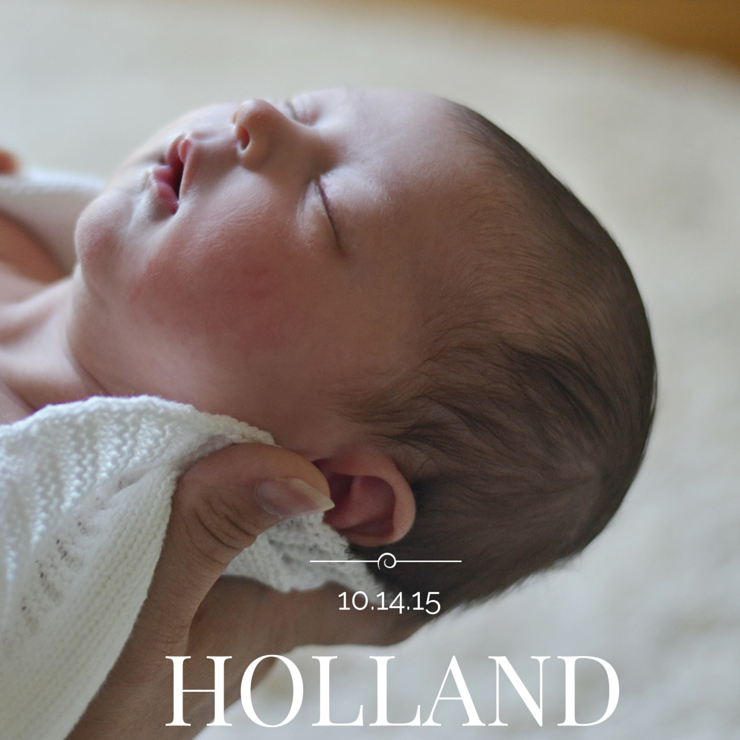 Little Holland joined our family after 47 hours of labor and an emergency c-section. To say that labor and delivery was traumatic for me would probably be an understatement. I'm still working on my feelings related to how everything happened. It was not the joyous event I had prepared and dreamed of... instead it was hard, scary, and at times, even terrifying. I hope to share her "birth story" soon but I know that to do so, I will probably need to first sort through all of my own fears and sadness related to those 47 hours. In the end though, our little Holland joined us. Of course, we think she is beautiful, but we know she is also strong, adventurous, and stubborn. She never sleeps, she eats constantly, and she loves bath time. We cannot wait to learn more about her... to mold her into a strong and independent woman. 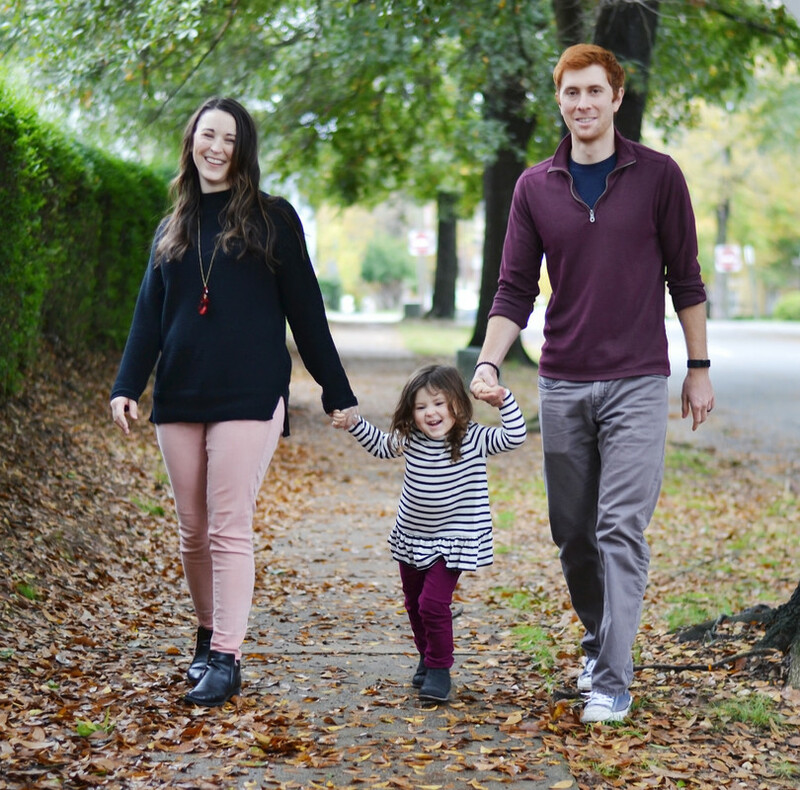 Our family has forever changed and we are still wrapping our heads around that fact. It's weird to go from a family of two to a family of three but we are slowly making the transition. Please stick with us while we take a bit of a blogging break in order to sort our way through all the new challenges in our lives. We'll be back... promise! She is gorgeous! Deep breaths, take all the time you need and soak it all in. She's adorable!!! :) So happy for you!! She's gorgeous! Congratulations. So glad everyone is happy and healthy. We'll all be here when you're ready to blog again, don't worry! Congrats!!!!! She is seriously gorgeous and I love the name! yay!!! congratulations and i super love the name holland :) i'm so sorry to hear that it was such a traumatic delivery :( i hope you are recovering and glad she is here and healthy! Congratulations Kate and Adam, she is beautiful! Congratulations on your beautiful, strong baby!! I'm sorry to hear about the delivery! Hope you all are doing great!